Living Large in the Integrated City at IJM Land”s Inwood Residences. Kuala Lumpur, May 30: Imagine soaking in the sun on a sundeck, next to an infinity pool with a gorgeous view of lush green forest reserve, knowing that home is only a few floors away. Or looking out of your apartment, enjoying the glittering night lights the city has to offer. With an array of finest amenities and award winning architecture, Inwood Residences brings a fresh perspective to the property industry in Kuala Lumpur. A combination of man-made splendour and natural beauty, Inwood Residences is part of IJM Land’s Pantai Sentral Park, a visionary township consisting of a mixed-use development with 7 residential phases and 6 commercial phases. Located within the 200-acre forest in Bukit Kerinchi, the fully integrated development is expected to be completed within 10 to 15 years. Upon completion, Pantai Sentral Park will boast modern facilities and conveniences, with some 15,000 residents calling it home. 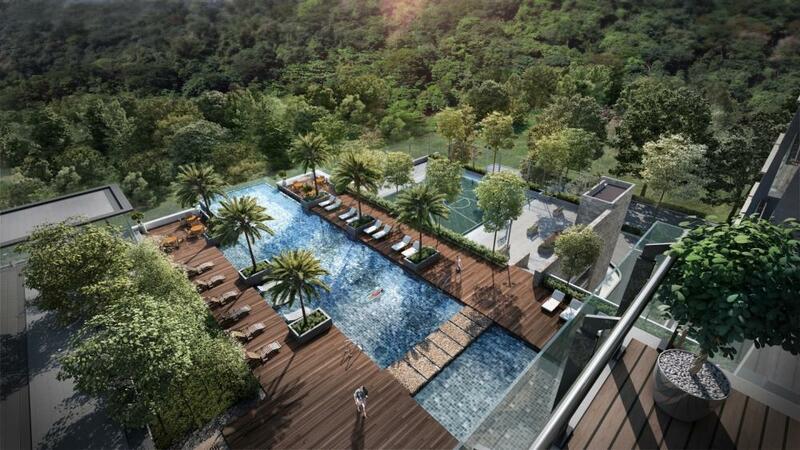 Adjacent to the Bukit Gasing forest reserve, Inwood Residences is the first of the 58-acre Pantai Sentral Park developments that will be ready in 2018, with Secoya Residences following suit in 2019. Inwood’s residential tower built over 3.02 acres of prime real estate has 211 luxurious units spread over 38 floors, with eight versatile layouts measuring from 1125 sq.ft. to 1965 sq.ft. on each level to choose from. Each Inwood unit is oriented either in the north, with city or garden views or the south, in the direction of the forest and pool. Providing a blissful view no matter which unit is chosen, each and every living space is designed with a shallow floor plate to boost natural lighting into its living space, in addition to good ventilation in the spacious apartments. Focusing on Pantai Sentral Park’s core values of People, Planet & Priority, IJM Land has ensured residents are equipped with first-class facilities and modern amenities, including 24-hour security, children’s playground, infinity pool, a sunken sundeck and jacuzzi. With thoughtful design and inspiring concepts, Inwood Residences is home to the Enchanted Garden, winner of Asia Pacific Property Awards in 2014 for best Residential Landscape Architecture in Malaysia. Featuring a pathwalk with trellis, maze path, totem plaza, children’s playground, tree houses, rock water fountain, topiary garden and more, the creatively designed garden gives residents a chance to be refreshed and rejuvenated in lush grounds, a blend of creatively constructed landscape and natural life. The Sky Gardens on the 16th and 25th floors, give the best of both worlds – the glamourous cityscape on one side and the lush forest on the other. Breathtaking views and thoughtful designs aside, the residence has a take up rate of 90 percent, with prices starting from RM731,000. Located at the doorstep of the up-and-coming MSC Malaysia Cybercentre at Bangsar South, it is also easily accessible to and from education centres like Universiti Malaya and Sri Dasmesh International School. Positioned within a 5km radius of major hotspots Petaling Jaya, Mid Valley and KL Sentral, Pantai Sental Park is well-connected to public transportation networks like the LRT and KTM lines. “When completed, Pantai Sentral Park will feature a mix of residential, commercial and recreational touch-points. Inwood Residences will give an opportunity to home owners to lead a relaxed, fulfilling lifestyle by being close to nature yet having easy access to city life. With the upcoming Pantai Sentral Park interchange, residents will have the added advantage of being close to popular leisure, business and educational hubs, making it an ideal property for those looking for an investment,” said Grace Foo, Sales & Marketing Manager of Pantai Sentral Park. Situated in the heart of Kuala Lumpur’s New Golden Triangle, Pantai Sentral Park is the midpoint to KL Sentral, MidValley City, Bangsar and Petaling Jaya. Once the 2.8km interchange is completed in the second quarter of 2018, residents and commuters will have direct access to and from the New Pantai Express Way (NPE). With an estimated cost of RM52 million, the Pantai Sentral Park interchange will help to redistribute traffic flow and encourage smooth traffic within the new urban city and its surrounding areas. The interchange will also encourage smooth traffic flow when entering and exiting the new generation township, which is set to be one of Kuala Lumpur’s most sought-after addresses.